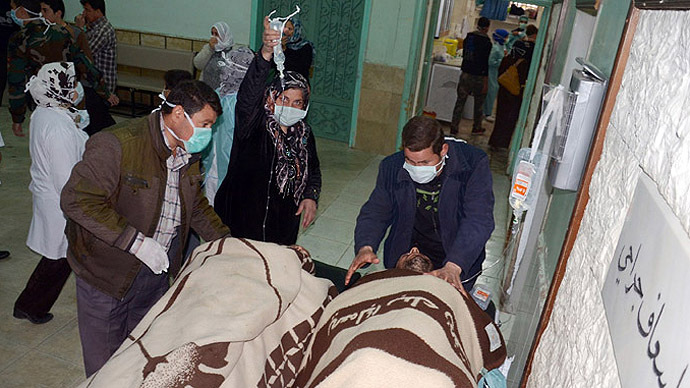 A UN probe has failed to establish which side in the Syrian conflict used chemical weapons, but has “reasonable grounds” to believe that such attacks, though limited scale, took place. The investigators were not able to visit Syria for the probe. The UN launched its investigation into four alleged incidents in which chemical weapons were used in war-torn Syria in March and April. 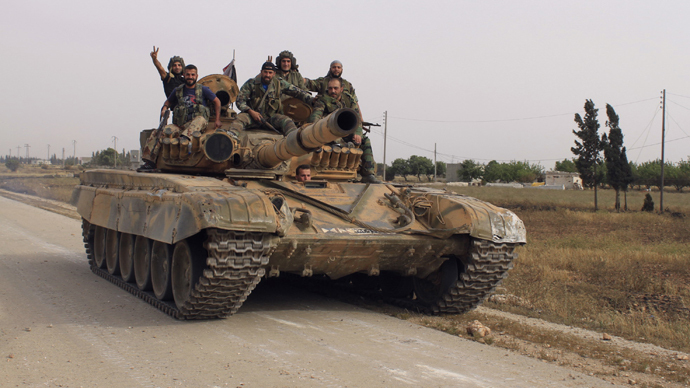 Rebel forces and the Syrian government have accused each other of perpetrating the attacks. "There are reasonable grounds to believe that limited quantities of toxic chemicals were used. It has not been possible, on the evidence available, to determine the precise chemical agents used, their delivery systems or the perpetrator," Paulo Pinheiro, who chairs the UN commission of inquiry, told a news conference in Geneva. The conclusion is based on witness accounts and video footage. The UN team, which included more than 20 investigators, spoke to witnesses in neighboring countries and some in Syria via Skype. It also examined video evidence, including footage from YouTube. The commission said that an on-site investigation at the locations of the suspected attacks, which would include taking samples, is needed for more conclusive findings. Damascus has denied entry to UN experts, citing concerns over their safety and objectivity. “We won’t mind if Russians would be among the experts, quite the contrary, we only welcome this idea. We are quite sure in their high qualification and ability to clearly see into such matters,” al-Zouabi added. "Russian and Chinese experts were not included in the team to ensure it was unbiased, the United Nations said. Unofficially, Syria has also voiced concerns that international investigators may gather intelligence that would later be leaked to rebel forces, or to their supporters outside Syria. On Tuesday, French foreign minister, Laurent Fabius, said that the tests on chemical samples taken from Syria prove that the deadly nerve agent “sarin gas was used several times in limited areas”. 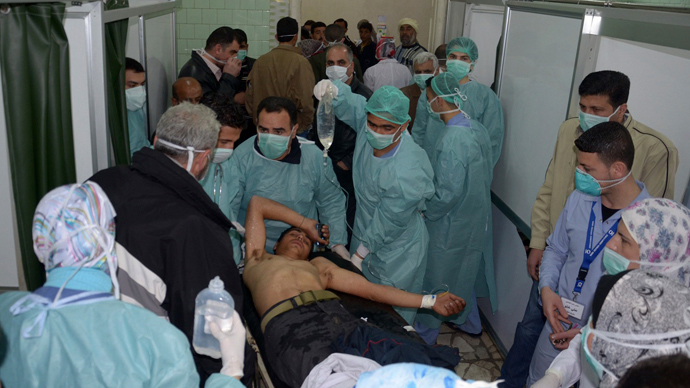 "These tests show the presence of sarin in various samples in our possession,” he said. "It would be unacceptable that those guilty of these crimes remain unpunished." In his statement, Fabius didn’t specify, which side of the conflict used the chemical weapons, adding that the test results had been handed to the United Nations. Later in the day, the minister has changed him mind, telling France 2 television that “there is no doubt that it's the regime and its accomplices”, who are the guilty party. The US responded to Fabius’s statement by saying that French proof is still “insufficient”. The White House press-secretary, Jay Carney, stressed the need for additional data to determine the scale of chemical weapons use in Syria and the responsible side, RIA-Novosti news agency reports. 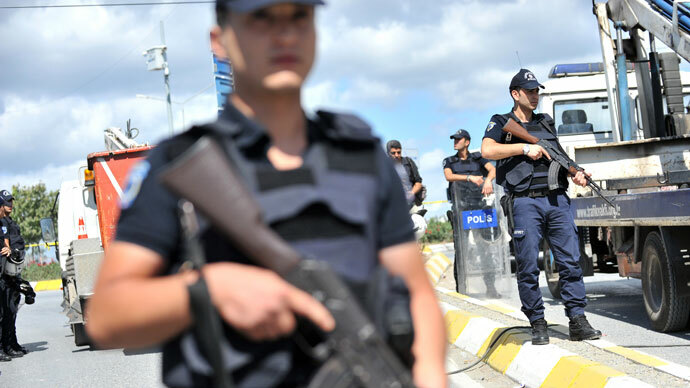 In late May, Turkish media reported that a 2kg cylinder of toxic sarin gas was confiscated by national security forces at the home of members of the Nusra Front Islamist group, which is fighting against the Syrian government. Syrian news agency SANA also reported in early June that government troops seized a small amount of the chemical from a Nusra Front cache. As the UN probe was underway in May, lead investigator Carla Del Ponte said their findings showed the rebels were behind at least one of the attacks. "This was use on the part of the opposition, the rebels, not by the government authorities," Del Ponte told Swiss TV. The UN commission also said they found plentiful evidence of atrocities not related to the use of chemical weapons. Both the government and various rebel groups are committing such crimes, the commission report said, putting greater blame on the Syrian government. The experts called on the UN Security Council to ensure that those guilty of war crimes and crimes against humanity are held accountable. The Syrian conflict has continued for more than two years, with the UN estimating that over 80,000 have died from the violence so far. Hundreds of thousands of Syrians have fled to neighboring countries, or were internally displaced. The US and Israel both said that the use of chemical weapons by Damascus against rebels would be a ‘red line,’ which would justify direct intervention into the crisis. Russia has maintained that conclusive evidence of any alleged atrocities is needed, and called for thorough investigation of all reports.